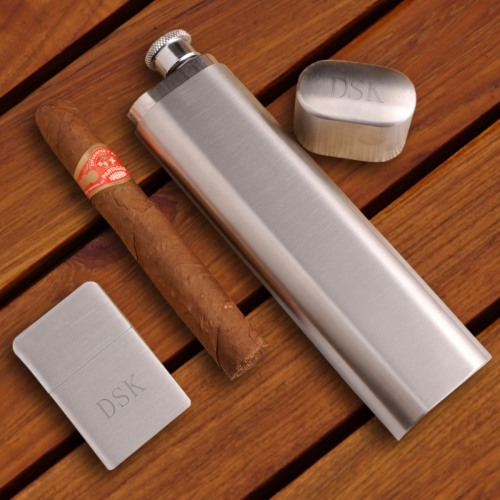 Treat your groomsmen to this monogrammed cigar case, flask, and lighter gift set. Perfect for bringing to a special event or a night on the town, this set is sure to be loved and used by your groomsmen time and time again. Simply add his monogram to complete the look and make this gift extra special.